Daimler hit by fall in sales | What Car? 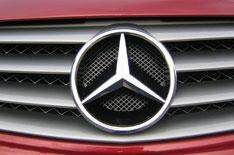 German car maker Daimler has reported a 1.29 billion (1.1 billion) loss for the first three months of 2009. The deficit follows a large fall in the sales of cars and vans from its Mercedes-Benz brand. Daimler's 1.1 billion shortfall compares with a profit of around 1.1 billion for the same period last year. Sales of Mercedes-Benz cars were down 27% over the first period of this year, with 231,200 vehicles sold. Daimler is continuing its cost-cutting measures, which have already resulted in shorter hours for 68,000 of its 141,000 workforce.